Kevin Lipton is a Beverly Hills native with a Bachelors of Science in business from The University of Southern California. 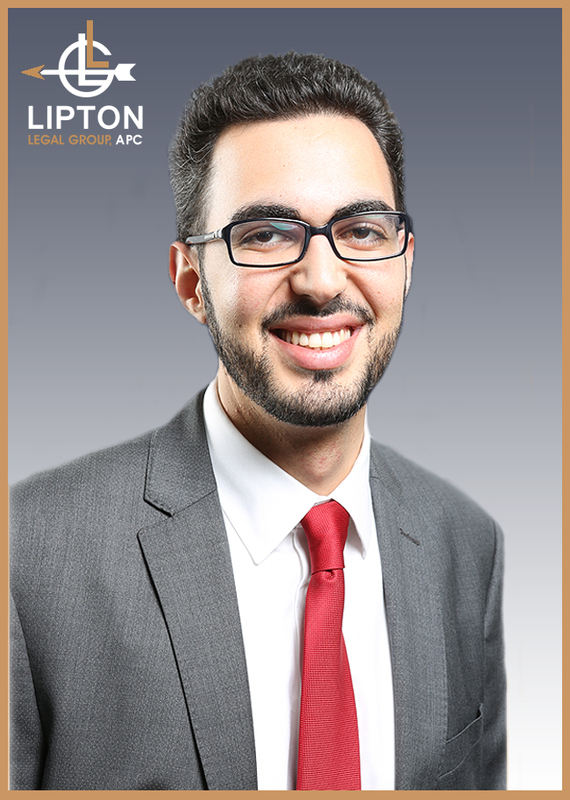 After graduating with honors from the Entrepreneurship program at USC, Mr. Lipton turned his attention to law and received a JD from Southwestern Law School. 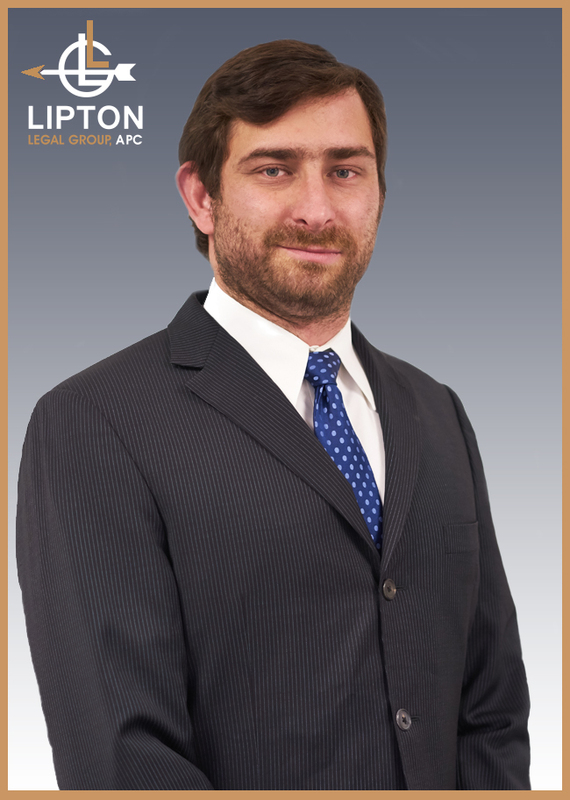 During his time in law school, Mr. Lipton was an active member of the International Law Journal and worked fulltime in real estate development and sales. 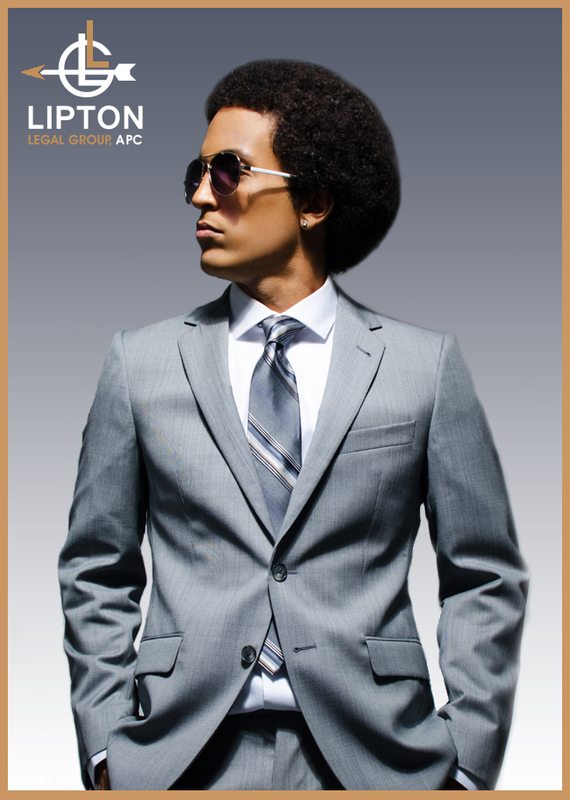 After law school, Mr. Lipton continued his real estate business by becoming a certified broker in California and founding Palm Palm Properties, A PC (www.PalmPalmProperties.com). Mr. Lipton has a passion for helping his peers study and prepare for the California state bar examination and, in 2014, with the aide and support of Mr. Falsafi, created The Bar Wiz (www.TheBarWiz.com), a new approach to studying for the California Bar. 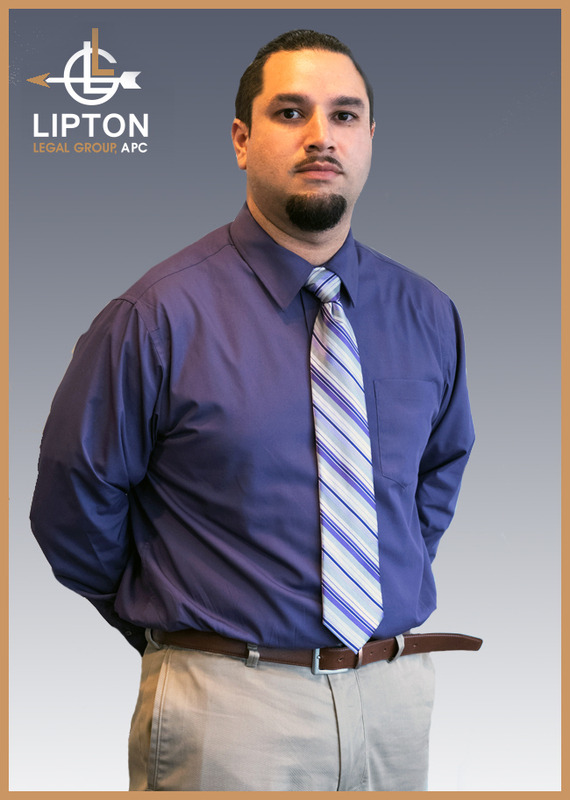 Through his work with local charities and his focus on assisting those individuals in need through his pro-bono work, Mr. Lipton aims to foster innovation and development in his community. Specifically, Mr. Lipton administers the Queen of Hearts Rescue (www.QueenofHeartsRescue.com), a charity devoted to saving animals and finding them proper loving homes. In his free time, Kevin enjoys mentoring law students and young entrepreneurs, competitive local team sports and fine dining. Michael Falsafi attended the University of California, Santa Barbra (UCSB). Mr. Falsafi majored in Political Science, with an emphasis on International Relations and was also active in social organizations, such as the Democratic Club. After graduating UCSB, Mr. Falsafi began working at Greenberg and Bass, LLP, a law firm specializing in Bankruptcy Law, Civil Litigation, and Transactional matters. Mr. Falsafi attended Southwestern Law School, graduating in 2014. During his studies, Mr. Falsafi continued his practical legal training by working at Ezra, Brutzkus, Gubner LLP, specializing in Commercial Franchise Law and Contract Law. Mr. Falsafi was also a member of Southwestern Law School’s Negotiation Honors Program, whch allowed him to hone his transaction skills. In addition during law school, Mr. Falsafi was a judicial extern for the Honorable Barry Russell in US Federal Bankruptcy Court, conducting legal research and working with Judge Russell on bankruptcy matters. Towards the end of his law school tenure, Mr. Falsafi also gained in-house counsel experience, having worked for NBC Universal’s Government Affairs department. After law school, Mr. Falsafi joined Mr. Lipton to found www.TheBarWiz.com, in an attempt to better prepare his peers for the California state bar examination. Mr. Falsafi is fluent in Farsi. He is a devoted sports fan, specifically the NBA and the Los Angeles Lakers. His personal hobbies include fashion, traveling, and playing basketball when his schedule allows. Competed at ACB Ninth Circuit Bankruptcy Competition – USC Gould Law January 2013. Executive Board Member of Southwestern’s Negotiation Honors Program, 2012-2013. Competed at International Competition for Mediation Advocacy – Toronto, Canada – March 2012. Member of Southwestern’s Negotiation Honors Program – 2011-2012. 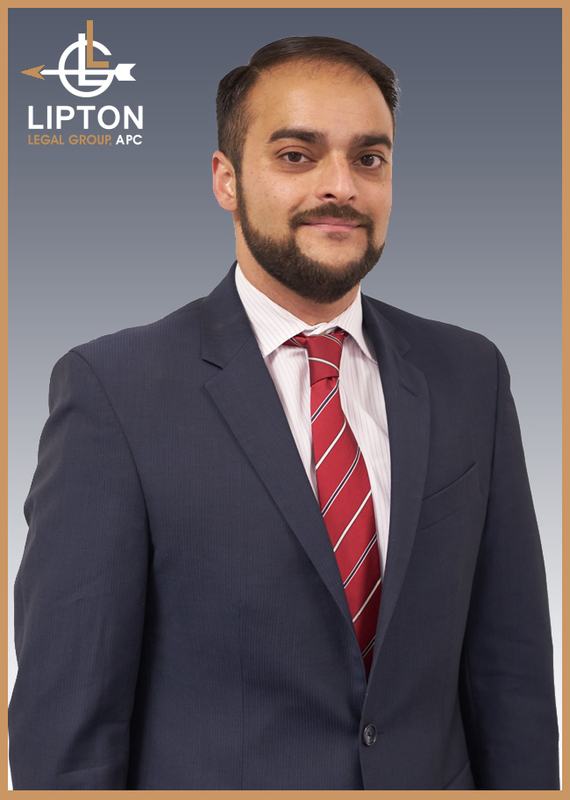 Mr. Barakat is the Senior Paralegal at Lipton Legal Group, APC and as such, is responsible for some of the most vital parts of the law firm. Specifically, he must ensure that the attorneys are properly prepared for trials, hearings, and closings. A large part his duties consists of conducting preparation of legal documents, legal research and gathering relevant information for the various cases at hand. Hasan Baraket is a proud Southern California native and US Army military veteran : “Fighting for what I believe in is what I’ll die for. If you don’t stand for something, you’ll fall for anything.” Mr. Barakat is a proud father of two beautiful boys and strives to set an example everyday through his hard work and determination. Barakat’s professional experience includes being a Combat Engineer in the U.S. Army for several years. After his service in the military, Barakat immediately enrolled in college while also working briefly in politics for Assemblyman Tom Lackey. A few years later, Barakat received his Academic Associate Degree and is currently pursuing his law degree. In addition to his professional aspirations, Mr. Barakat is an avid volunteer for the Los Angeles County Sheriff, as it was his duty to aid deputies on patrols and local citizens. Mr. Barakat was also President of the Student Government at the University of Antelope Valley. As President, he coordinated with the student body and community in order to plan different charitable events for the school and community. In summation, Mr. Barakat is a true family man who enjoys meditation and weekend roadtrips with his family. Anytime he can take his boys on a wilderness adventure, he is always the first to get his boots a little dirty! Attorney Dan B. Yakobian attended the University of California, Los Angeles, where he studied Political Science and Jewish Studies. While at UCLA, he began working at a law firm and immediately realized his passion for the law. Upon graduating UCLA with honors, Mr. Yakobian went on to attend Southwestern Law School’s evening program and continued to gain valuable experience by working in both defense and plaintiffs’ law firms. Mr. Yakobian is licensed to practice law in the State of California as well as in Federal Court for the United States District Court. Dan Yakobian is a member of the American Bar Association, the San Fernando Valley Bar Association, the Pasadena and the Beverly Hills Bar Associations, the Iranian-American Bar Association and other legal organizations. Mr. Yakobian Is fluent in Hebrew and Farsi. Mr. Yakobian’s has experience in the areas of Employment Law, Personal Injury, Workers’ Compensation, Landlord-Tenant, and Construction Litigation and Contracts. His experience allows him to assist employees, famililes and small businesses. Dan Yakobian attended the University of California, Los Angeles (UCLA), where he studied Political Science and Jewish Studies. While at UCLA, he began working at a law firm and quickly realized how influential attorneys can be when representing clients in the community. He was also the client contact, which involved keeping clients educated and updated about their case. Maintaining constant communication gave them a peace of mind and an assurance that their problem is being handled with care. Upon graduating UCLA with honors, Dan Yakobian went on to attend Southwestern Law School and continued to gain valuable legal training by working in both plaintiffs’ and defense law firms. By working with both the person suing and the person being sued, Dan acquired a unique perspective and insight on how to efficiently resolve a lawsuit on both ends. Dan is fluent in Hebrew and Farsi. He is admitted to practice law in the State of California as well as in Federal Court in the United States District Court. Ms. Ashley Roshanzamir is the Executive Office Manager at Lipton Legal Group, APC. Ms. Roshanzamir is a Los Angeles native with an eye for business; she graduated from Boston University’s Questrom School of Business, with a concentration in General Management. In Boston, Ms. Roshanzamir was a member of Sigma Delta Tau sorority, and was a member of the chapter’s Standards Committee for two years. The Standards Committee afforded Ms. Roshanzamir the opportunity to help misguided students and instill behavior to better prepare them for the future. Ashley was also a member of the MEOR Boston board, involved in event planning and student recruitment. After graduation, Ms. Roshanzamir brought her passion for business back home to Los Angeles, where she worked in property management before joining the Lipton Legal team in early 2017. 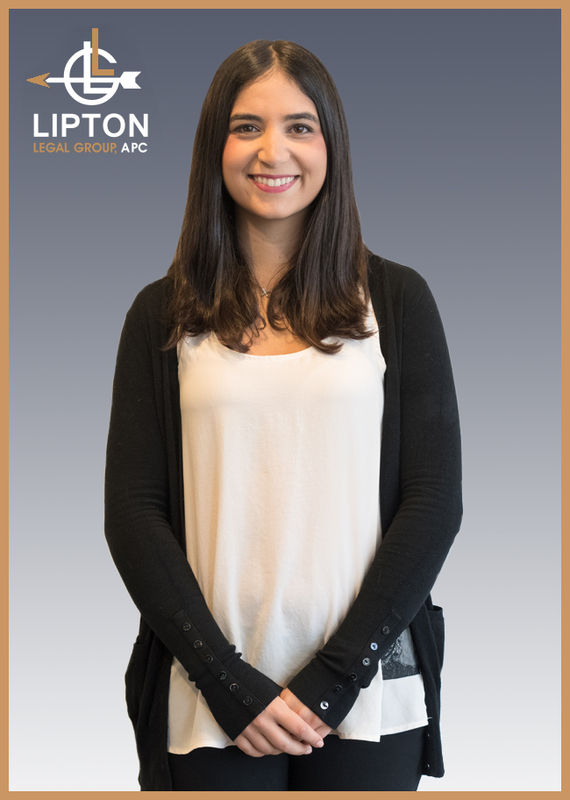 Although Ms. Roshanzamir has entered the legal field, she has come to learn the similarities across all business platforms and has helped implement efficient standards and protocols at the Lipton Legal Group. Ms. Roshanzamir comes from a diverse background and can speak Farsi, Spanish and Hebrew. When she is not communicating with the masses or crafting strategical business plans, Ms. Roshanzamir prefers to relax and unwind by traveling, reading, and cooking.